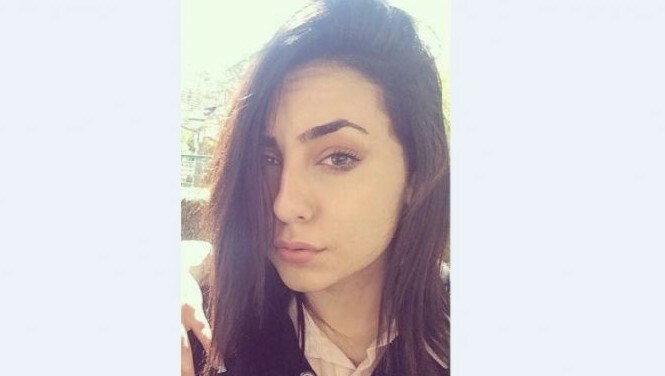 A few weeks ago an Israeli Christian reportedly stabbed his seventeen year old daughter to death because he did not approve of her relationship with a Muslim man. Henriette Karra was killed in her family home a day after her high school graduation. Before her murder she had reportedly left the family home to after abuse and threats from her parents and stayed part-time with her boyfriend’s parents. Her family proceeded to use threats to get her back home. After a meeting with a social worker she returned home. She is said to have told a family member that she was ready to convert to Islam. On learning this information the father stabbed her to death. He was arrested. The question one must ask is which is worse her dating a Muslim or he murdering her. The things people do simply boggles the mind. I read this news paper article about a week ago and I have to state my views on the incident. Apparently a 17-year-old transvestite was spotted dancing with another man at a street dance. Someone recognized him and pointed out to others that he was a man dressed up like a woman. Subsequently the teen was attacked, beaten, chopped and stabbed to death. His body was then dumped into nearby bushes and was later discovered by police who are reportedly launching an investigation. I will not hold my breath on any arrest in the matter. In my opinion this was a wicked and barbaric act against this young man. He may have stepped out of line dancing with another man in a society in which he is aware that many people are homophobic. However taking the life of someone for this in this cruel manner is something we must denounce. Unfortunately in the comments it was clear that many people justified the actions of the murderers. Siding with murderers in a country with a high murder rate as Jamaica murder rate is poses some serious questions. How seriously do Jamaicans feel about curbing the murder rate which already is over six hundred death for 2015. How is it okay to stab and chop someone to death simply for being different? How is it wrong to be gay yet okay to be a murderer. Many are quick to quote scriptures to justify their actions but let us also remember one of the ten commandments said Thou Shalt Not Kill. We are living in the twenty-first century but what progress as people can we say we have made when men are keeping women enslaved. This is not about race, color or class. Women from every area of society have at one point or another found themselves subjected to abuse from men. Age is of little relevance, as long as you are a woman you are at risk. In spite of human rights laws and legislation little girls mere children themselves are married off to grown men, sentenced to a life of hard labor and abuse with no hope of an education. In some instances once married the woman becomes the property of the man. She has no voice, she has no say. He is her lord and master and his every command she must obey. As his property he happiness is not important. Her job is to make him happy and take care of his every need. It is time for women to stop accepting less than they deserve. In some abusive relationship when ask why they stay a woman may respond “I love him.” You may love the man but while you are busy loving him who is loving you? In reality a woman does not need a man anymore than he needs her. You may feel hurt, disappointed, betrayed and lonely but at the end of the day you are alive and life goes on. Sometimes, somewhere out there something good is waiting for you but if you remain trapped in an unhappy relationship you will never experience it. Don’t be like a welcome mat and allow him to walk all over you. The change will come only when women begin to stand up for themselves and say enough is enough. In an abusive relationship the woman often have no choice but to leave her abusive partner. While you may feel relieved and happy to be out of the unhappy relationship, do not become complacent. You need to be vigilant. It is often after the woman leaves that she becomes more at risk for losing her life. In most abusive relationship the main aim of the man is to control the woman. When the woman leaves he no longer has that control and he may go to the extreme to make sure that the woman does not have a life without him. When you leave an abusive partner always bear in mind the fact that your life could possible be in danger and take the necessary precautions to ensure your safety. If children are involved you may have no choice but to remain in touch with him for the sake of the children. It is best however not to meet with him alone or if you have to make sure you do so in an environment where people are around. Never meet with him in a deserted or secluded area. Just recently on August 14 in my home town Port Antonio, Jamaica twenty-two year old woman, Jessica King, lost her life to domestic violence. The man who took her life was a twenty-three year old police officer. This was someone who took an oath of office to serve and protect citizens. Instead of protecting he turned his weapon on a defenseless, unharmed woman and snuffed out her life. It is reported that the two were having problems in their relationship and the young woman had moved out of the home they shared and was staying elsewhere. According to a relative on the day of her death she received a phone call that morning from her estranged boyfriend requesting her to see him. She apparently went to the Errol Flynn Marine to meet him not knowing she was walking to her death. An eyewitness said the police man first hugged her and then proceeded to pump four bullets into her. She died on the spot. He then turned the gun on himself, shooting himself three times in a suicide attempt. Since the incident he has been released from hospital and will stand trial for murder. Relatives of Jessica said was killed because she wanted to end the relationship with the police officer.